Saturday June 15, 2019 10:00 a.m. - 4:00 p.m. Cost: $35 per person. 1 adult meal is included per child registration. Adult chaperones are encouraged to attend, but not required The Otoe County 4-H Foundation Camping Scholarships support this camp! Monday, March 25, 4:00 p.m. – 6:30 p.m. at the Palmyra Memorial Library, 535 Illinois Place in Palmyra we will be helping to enroll in Otoe County 4-H and answer questions you may have! 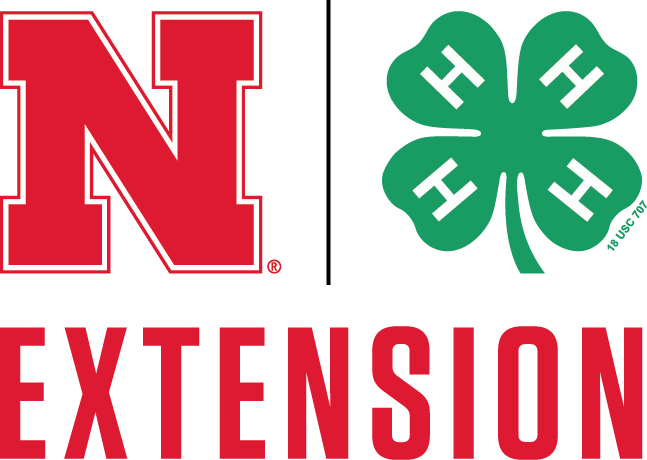 Enroll in Otoe County 4-H by Clicking Here! Due May 1st! The NEW 4-H Annual Achievement Application (AAA) will be showcased and explained. This will replace the 4-H Career Portfolio at the county and state levels. 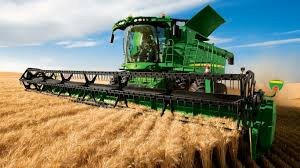 The 4-H AAA will be due on Tuesday, October 1, 2019. 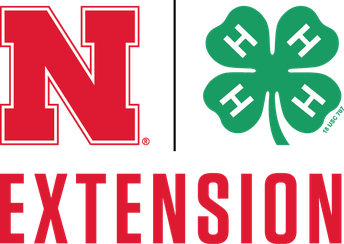 Meet Erin Steinhoff, our new 4-H Extension Assistant! Q and A - to answer ALL your 4-H questions! 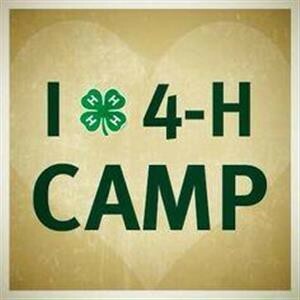 This event is for ALL 4-H volunteers, parents and leaders! 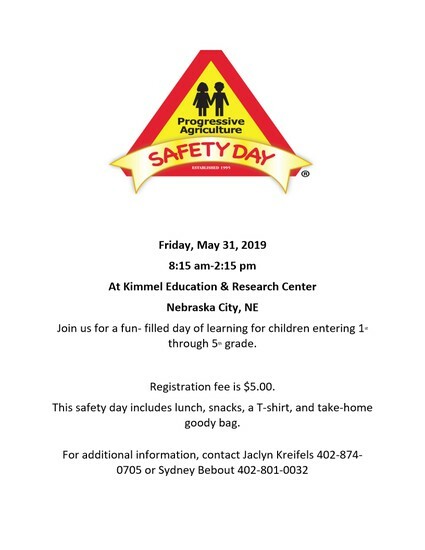 Call the Nebraska Extension Office in Otoe County office at 402-269-2301, email otoe-county@unl.edu, or use this RSVP by Friday, April 5, 2019 to register!! Thinking about doing a PSA? And here are some actual examples of PSA’s recorded that they can listen to! Check the flyer in this months TIPS for contest guidelines! To register or if you have questions, please contact the Extension Office at 402-269-2301. Does your rabbit still need a tattoo? If so, you can contact Dr. Gigstad at Arbor Valley Animal Clinic to set up a time to have it done! Arbor Valley's phone number is 402-269-3267. Thank you Dr. Gigstad! YQCA- Click to sign up or log in! Don't forget! 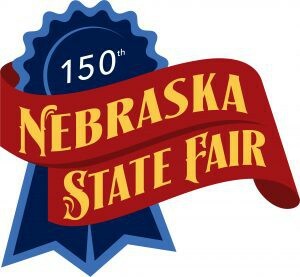 If you want to show Beef at the Nebraska State Fair, you need to complete the online nomination by April 15th. Click here for instructions on how to complete your nomination! Don't forget that you need to obtain a Premise ID if you do not have one. You will need a Premise ID for all market animals. Click here for more information about Premise Identification and how to obtain one. Check out the Big Red Camps by clicking here! Don't forget to contact the Extension Office for a scholarship code! 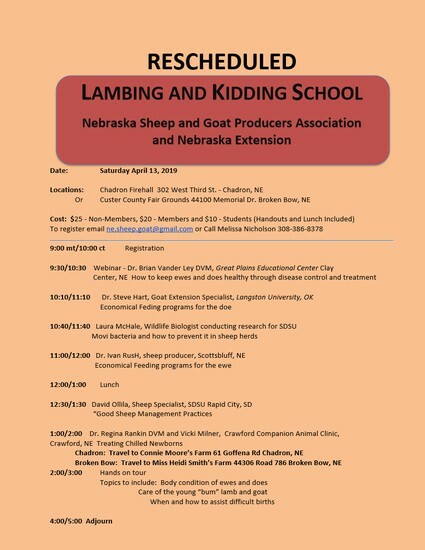 2019 Animal Dates for Otoe County! May 18- Market Lamb weigh-in will be from 9:00 a.m. to 10:00 a.m. at the O.K. Pavilion. 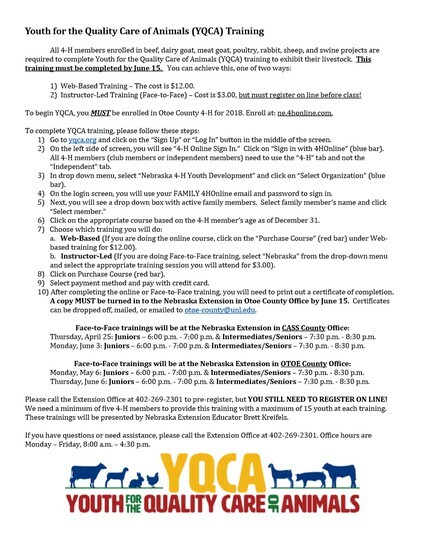 - All 4-H Exhibitors showing Beef, Goats, Poultry, Rabbits, Sheep or Swine are required to complete YQCA. 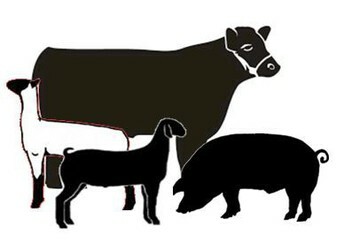 July 15- All animal entries for Otoe County Fair are DUE: this includes Beef, Companion Animals, Dogs, Dairy & Meat Goats, Horses, Meat Goats, Poultry, Rabbits, Sheep and Swine. These entry sheets will also be used to stall livestock at the Otoe County Fair.